Raise your hand if you like mushrooms. Me too! One of my favorite burgers is the swiss Portobello mushroom burger on some sourdough. 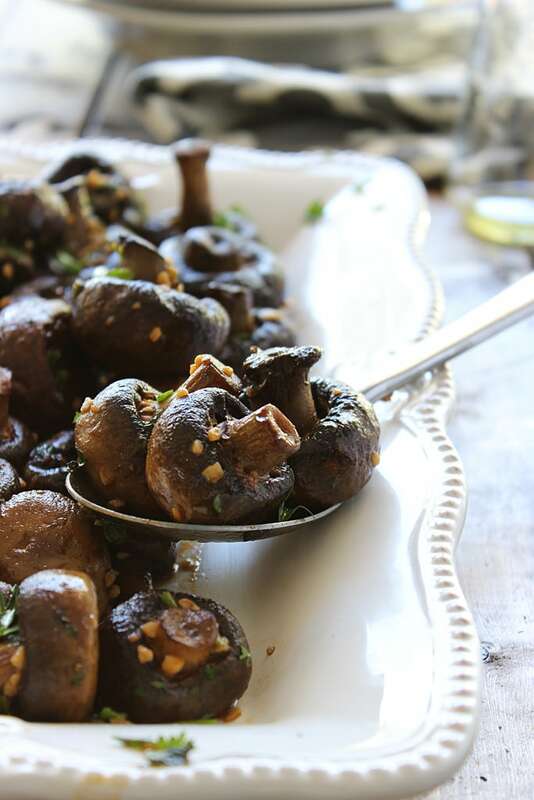 Over the years, I’ve sneakily snuck some of my love for mushrooms onto the blog. My earliest was probably with oyster sauce which, ignoring the utterly crappy picture is incredible yummy. It’s also when I figured out that mushroom tend to shrink down tremendously in size once it releases its juices. Which would account for the teeny tiny underwhelming amount of mushrooms on that salad plate. I’ve since learned. 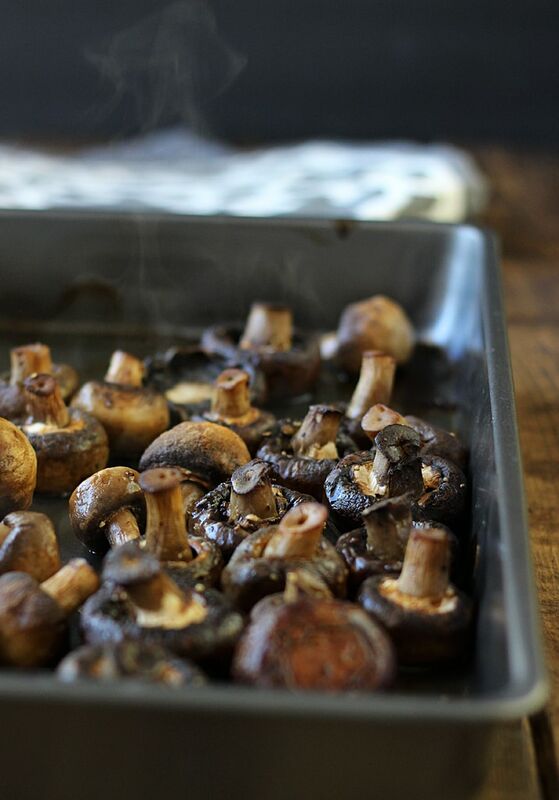 And I’ve discovered along the way that mushrooms are fun to stuff and call an Au Gratin or a pizza. 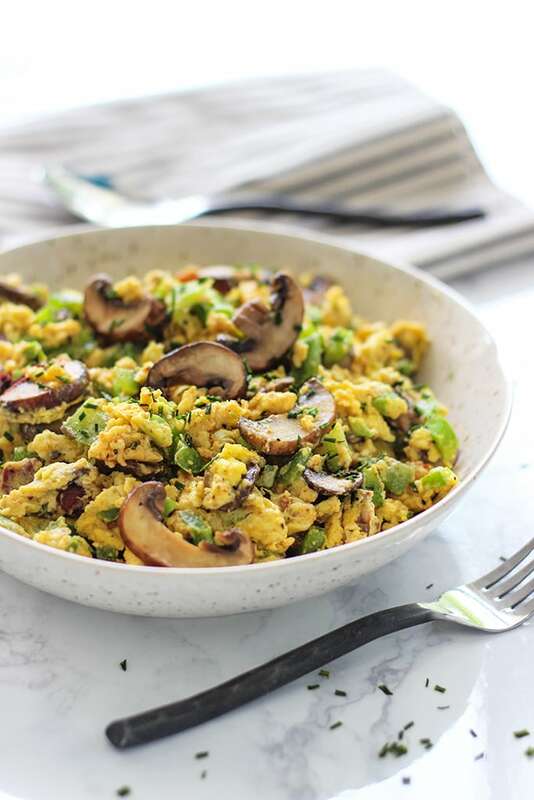 But back to the size issue, next time you’re at the grocery store and those mushrooms are looking like way too much for two people and you’re thinking “Oh wow, this is way too much for us”… it’s not! It’s even not too much of a stretch to say that one person can eat a whole pound by themselves (ahem). But for this recipe, I’ve allotted two pounds for four people just for the sake of moderation. But seriously, it can’t get any easier making a side dish than this. It’s literally pour in some olive oil, season with salt and pepper and pop in the oven. Then melt some butter, add some garlic, smoked paprika, parsley and toss again once it’s out of the oven. That smoked paprika really gives it a nice woody taste and kind of smells like BBQ. And you’re done. It’s very smoky too. And seriously low on calories. 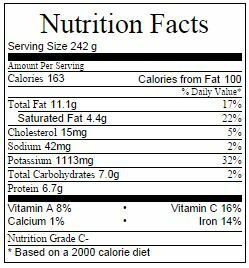 Look at the nutritional label. I was kinda shocked at how low it was even with the butter. 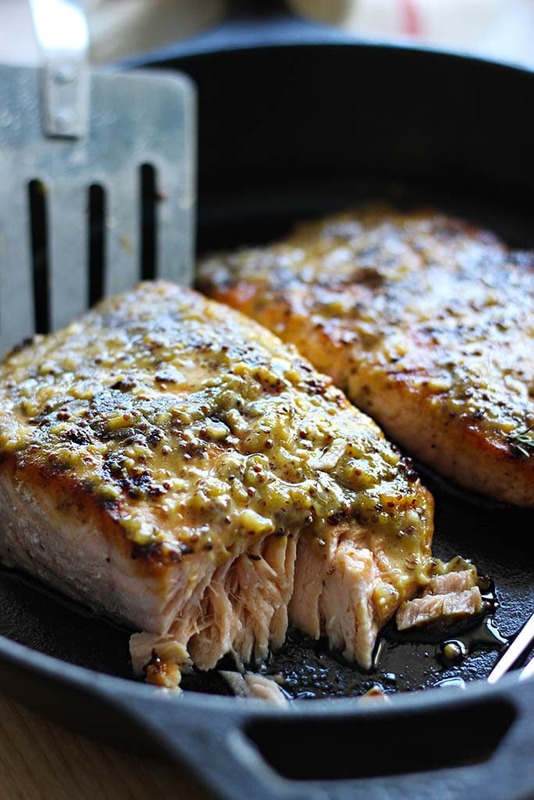 And as for pairings, I think it’ll go great with a slow cooker pot roast or for steak night. If you want more flavor, toss in whatever extra herbs you want or stuff like garlic salt. This recipe is a blank canvas, good on it’s own but also very, very amenable to being made more awesome! It actually always amazes me how smoky a flavour you can get from smoked paprika. Never thought to try it on mushrooms though. I love that this dish is so simple. I actually think I could make a meal out of this just with some garlic rubbed toast on the side, smash or chop up the mushrooms a bit then pile it on the bread. Thanks for sharing this!! 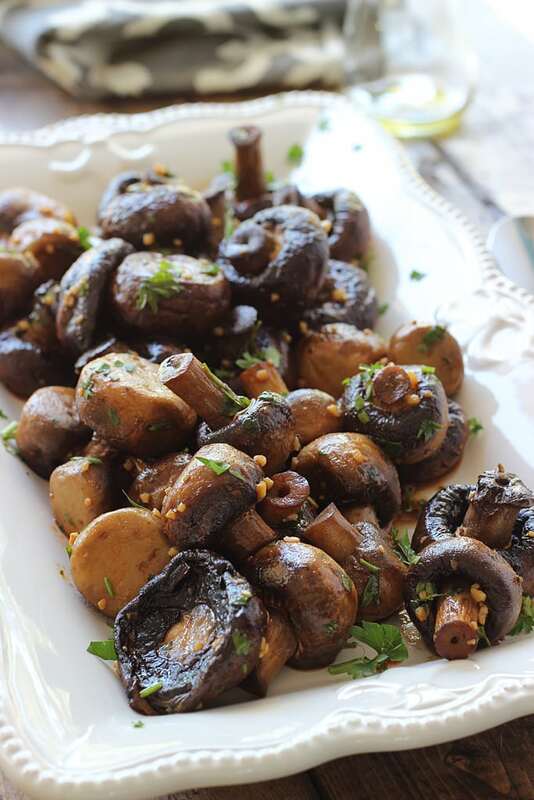 These smoky mushrooms are definitely perfect for me to recreate for my Vegetarian household during the week. They look totally delicious and jam packed full of yummy flavour. Great recipe Farah! You’re very welcome, Thalia! They’re very juicy! 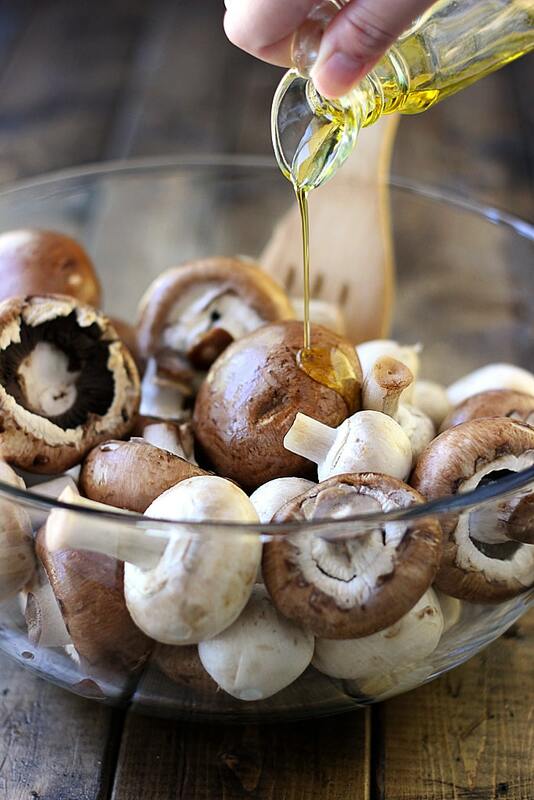 I’m a mushroom junkie, so definitely going to try this! 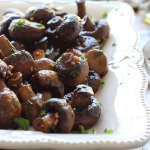 What are the little yellowish chunks sprinkled on the mushrooms? Looks like chopped garlic, which I’m definitely going to add when I make it. And it would probably be killer with a lemon or balsamic vinegar spritz to finish… 🙂 Thanks for a great recipe! Yes, that would be the garlic! Looove garlic. And that’s a great idea for a finisher, Caden 🙂 Happy cooking! You’re welcome! Thanks for cooking it! Thank-you Farah! I love mushrooms too 🙂 I would never have thought of the smokes paprika, sounds great. I kid you not, I LOVE smoked paprika. It’s the one bottle of spice that goes out faster than the rest in my arsenal of spices! 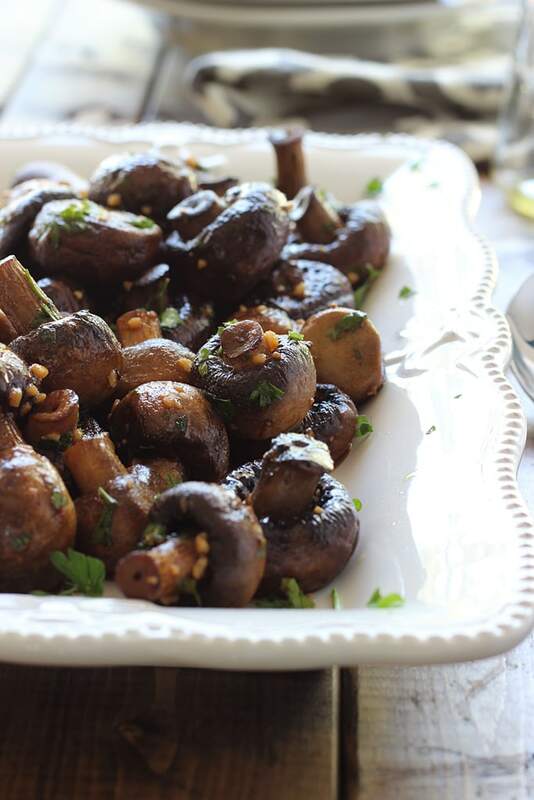 These mushrooms are super delicious and super easy to make. Made these as a side dish for thanksgiving last week (Canuck over here) and they disappeared quickly. I also got tons of compliments on them. Made them again tonight and hubby and I devoured them quickly. Thanks for the recipe! You’re welcome, Kasia! I’m glad it made a good Thanksgiving side for you. And thanks for trying out one of my less popular recipes, always happy when they get some love. 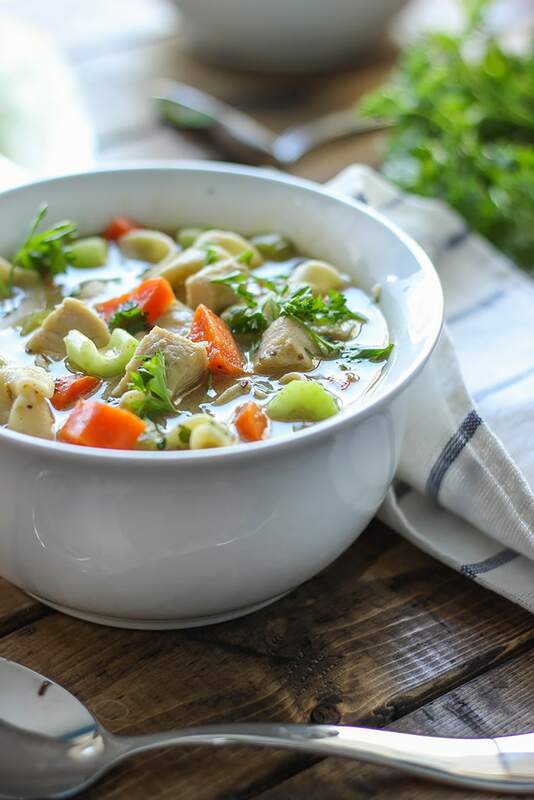 This is one of your LEAST POPULAR recipes?? Unbelievable! Not a lot of mushroom lovers I guess? It’s such a pity. But yeah, this recipe barely has 1k pins. My most popular is sitting at 688k pins on Pinterest. Maybe people don’t know what smoked paprika is or where to find it? It’s a Spanish ingredient that isn’t available everywhere. I have a couple local markets that sell it here in the Mid-west (Cost Plus/World Market is one that I think is national) and I have a jar that’s made by McCormick’s that I got at Kroger (but that one’s less reliable). Viva la pimenton!